With the French railways once again part of Eurail’s Select Pass, Thello is now a new benefit partner with Eurail. Thello as a full Eurail benefit partner is offering pass holders a discount of 25 percent. 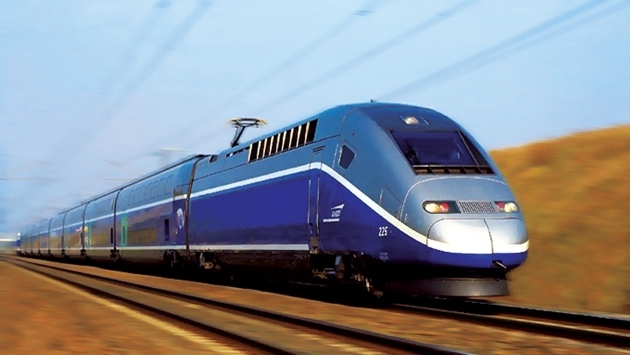 Thello operates in France and Italy, connecting such destinations as Paris, Milan and Venice by night train. Traveling by night train provides passengers with the added value of saving money and time, while arriving ready to explore a new city the next day. Thello is a French-Italian railway company born from the partnership between Trenitalia and Transdev. The train departs every evening from Paris and Dijon in France, and in Italy from Venice, Padova, Vicenza, Brescia and Milan. In Italy, passengers can continue their journey by connecting with the high speed Frecciarossa network, which takes just under three hours to cover the distance of 358 miles between Milan and Rome. Pass holders can redeem this special discount from most Eurail Sales Agents, as well as Thello and Trenitalia points of sale. Eurail’s Mediterranean Deals promotion is valid until April 30. The promotion offers non-European residents a free travel day on any variation of the Italian One Country Pass and the following Regional Passes: France-Italy, France-Spain and Italy-Spain. You can view the various sales reps for Eurail at www.eurailgroup.org/eurail-vendors. Amtrak Vacations will continue to extend its Savings Offer for 2014 Escorted and 2014 Independent Rail Journeys through May 31. All 2014 Escorted Rail Journeys booked by May 31 will receive a $600 per couple discount ($300 per person) for travel through March 31, 2015. All 2014 Independent Rail Journeys booked by May 31, 2014 will receive a $300 per couple discount ($150 per person) for travel through March 31, 2015. Amtrak Vacations is also continuing to offer discounts on all Family Adventures (up to $200 per family of four) and their Ultimate Getaway series (up to $50 per couple). These offers will be active and will continue until further notice. The Premier Rail Collection (PRC) launched the Rail Baron Club rewards program the first scenic passenger train company to offer a nationwide rewards program. The program includes discounts, upgrades and tickets for riders through a free membership on its seven railroads from Cape Cod Central Railroad on the Atlantic Coast to the Mount Hood Railroad in the Pacific Northwest. There are no fees or cards in the program; members use their email address upon purchase of Premier Rail Collection train tickets and begin accruing points to their customer profile. Administered by Loyalty Gator, a web-based customer loyalty program, the Rail Baron Club’s website is user-friendly and easily accessible. Rail Baron Club members are encouraged to monitor for promotions during which they can score additional points for purchasing tickets for specific events, within a certain time frame or as gifts. One reward point is earned for every dollar spent at any Premier Rail Collection railroad. Riders on the Cape Cod Central, for example, who have 200 points get a free upgrade to Diamond Class. If they have 300 points they get two free shoreline excursion tickets. Four hundred points earns them a family four pack of excursion tickets. With 500 points you get two free Sunday brunch tickets and with 600, two free dinner train tickets. Seven hundred earns you the dinner train tickets plus a gift.